EZ Dock’s Low Profile Rowing Dock stands just 8” tall on dry land and offers an industry-leading freeboard height of just 5½” in the water. Designed to deliver exceptional stability, the 80”x120” dock sections utilize our patented rubber coupler system that allows the dock to flex and absorb wave energy in the water. Versatile and expandable, the boat loader dock sections require little to no maintenance and offer four-season accessibility. Rowing docks in the past have been inflexible steel or plastic connections between dock sections. 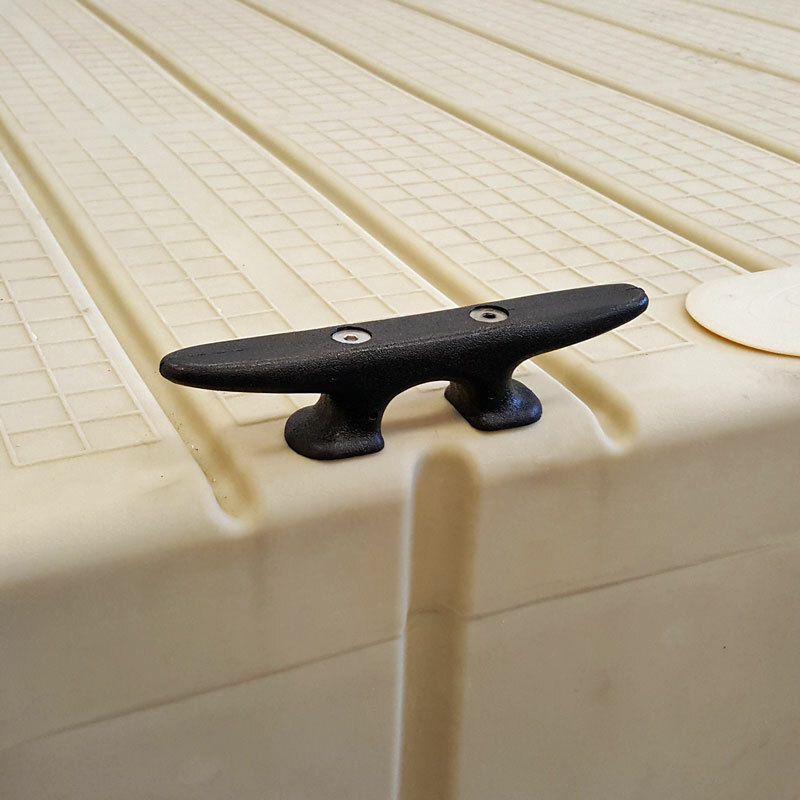 EZ Dock Low Profile Rowing Dock sections utilize our patented rubber coupler system that allows the dock to flex and absorb wave energy in the water. The EZ Dock Low Profile Rowing Dock is available in 80" x 10' sections. When installed you may position your dock lengthwise for a dock width 6'-6". Width wise for a 10' installed width. Or position two dock sections parallel to one another lengthwise to meet the FISA and USA 13' rowing standards. Q: Can I leave my EZ Dock in the water year round? The short answer is yes. But it’s best to discuss your site with one of our dock specialists to be sure. We have been working with the EZ Dock product for over 10 years, and we have thousands of dock sections throughout the Northeast that remain in the water year-round. The product itself is safe in the ice, it is important to discuss any site-specific variables that could increase the risk of damage. Q: How does EZ Dock float? Is there a separate tank? The entire dock section is a float. That is what makes the product so unique. EZ Dock uses a patented, two-stage flotation design. One, the entire dock section itself displaces water. Two, the bottom of the dock looks similar to an ice cube tray. The individual air chambers create air pockets that trap air under the dock. These individual chambers are constantly working to counteract weight on the dock’s walking surface to increase overall stability. The displacement and air chambers give EZ Dock an industry-leading flotation capacity of 62.5 lbs. per square foot. Q: How long has EZ Dock been around? 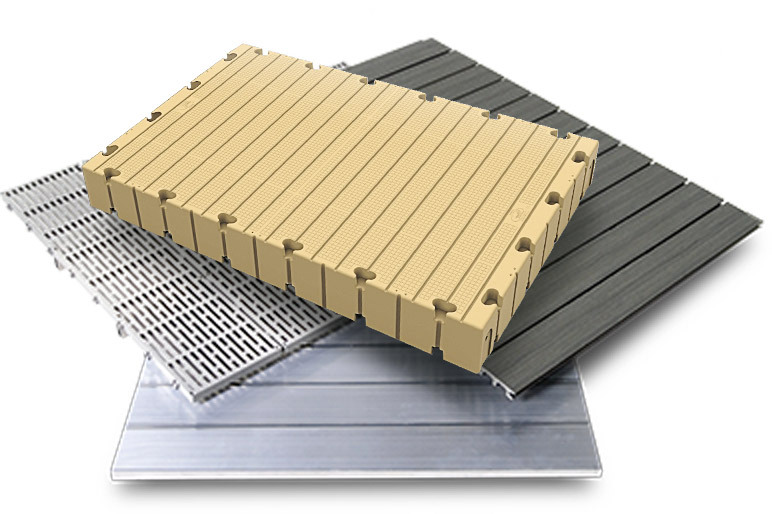 EZ Dock has been making polyethylene docks for more than 25 years. Some of the original dock sections are located in the Northeast and still look great.